The timer will repeat the cycle once, then stop. When power is on, the red led lights and delay time start. 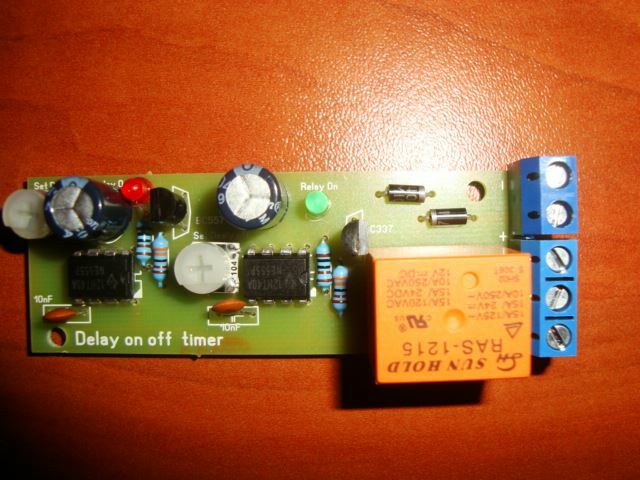 After end of set delay off time green diode lights and the relay is activated - normally open contact is closed and normally closed contact is open and keep that position, until end of set delay on time. 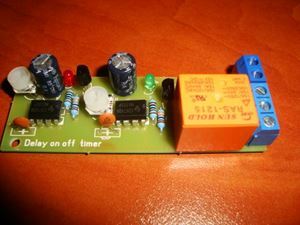 By restart power supply - cycle repeat. Device don't have plastic box, only plate, as see on the picture. The kit is assembled and tested. 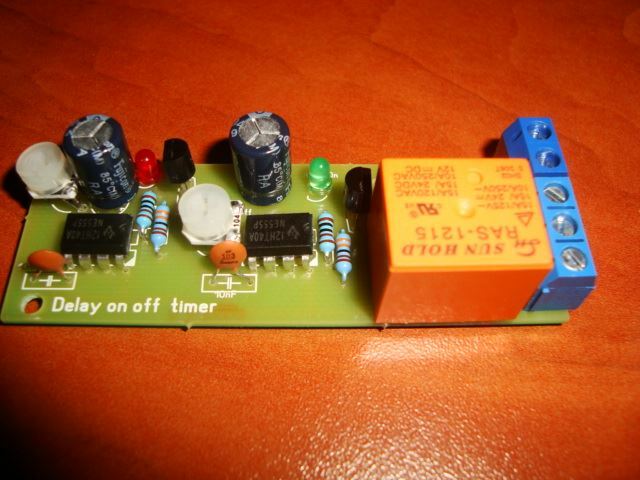 The timer can be used for delay start any device, then it to work for set time. After that it will stop, even that the power supply is still applied.